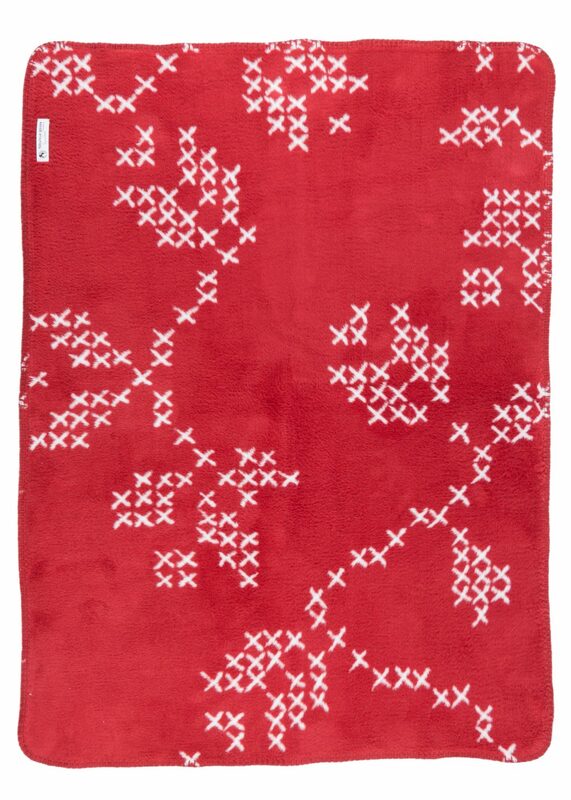 Folkloric and traditional handcrafts with a new and contemporary look – Style “Crossing” with a pattern inspired by the classic cross-stiches. Old handwork techniques and innovative combination of colors transcend cultural boarders. “Mix it yourself” and create your eclectic style. 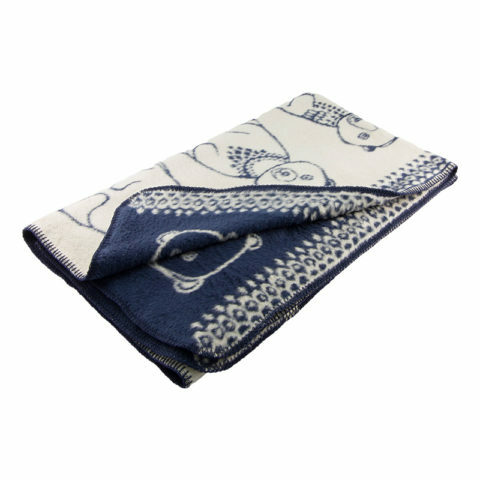 Ultra-soft organic cotton blanket that is perfect for keeping your baby warm. 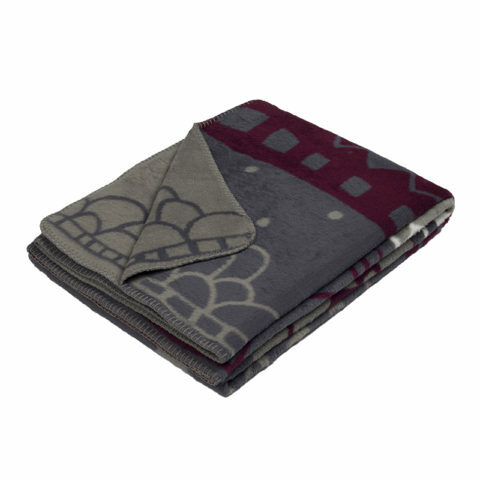 This blanket in brushed GOTS certified organic cotton is super soft and warm. 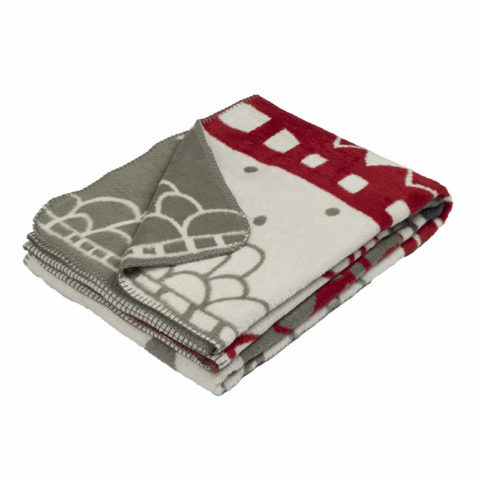 Nostalgic references and preservation of cultural heritage, Crossing blanket is poetic and Scandinavian elegant. 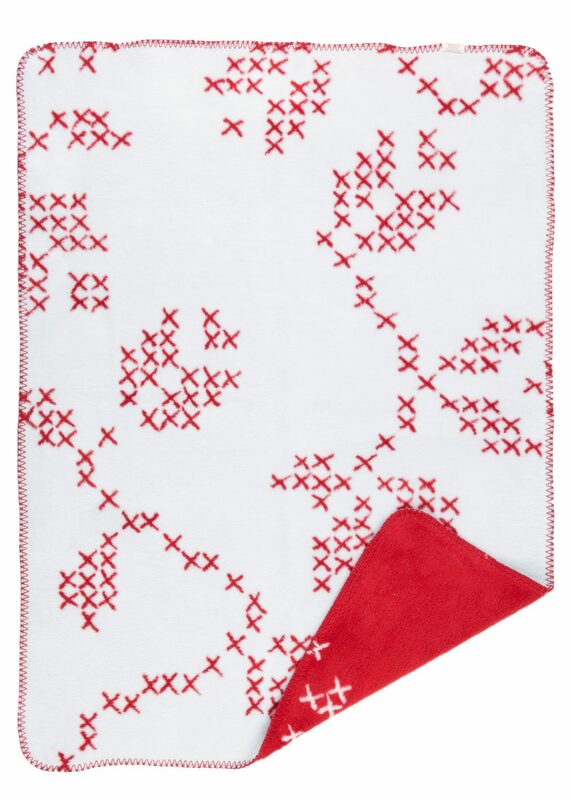 It captures the easy living of Scandinavian design. 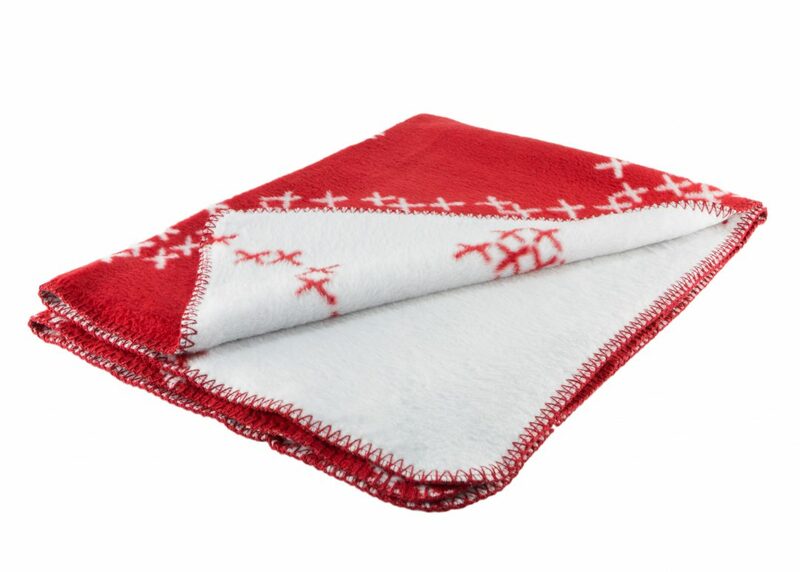 Created by inspiring talented artist Rugiada Petrelli and craftily cobbled together in such a way that is gentle on nature’s resources: made in Germany using pure, clean and non-toxic processes so you can rest assure that your family – from the biggest member to the littlest of them all – is in safe hands. The whole manufacturing process is mechanical, that means that no chemicals have been used.